Finding the Perfect Promo Item for Your Business! At Accent Printing, our foundation has always been printing and design. Over the years we’ve grown our business with web design and management, marketing, branding, etc. and have become the “go-to place” for our client’s business needs. One of our favorite things to do is help our customers select the right promotional items. We recently participated in a local Chamber trade show. Because it’s football season we thought it would be fun to have football “stress reliever balls.” They were a hit and I’m sure many of them are sitting on desks just like mine is! 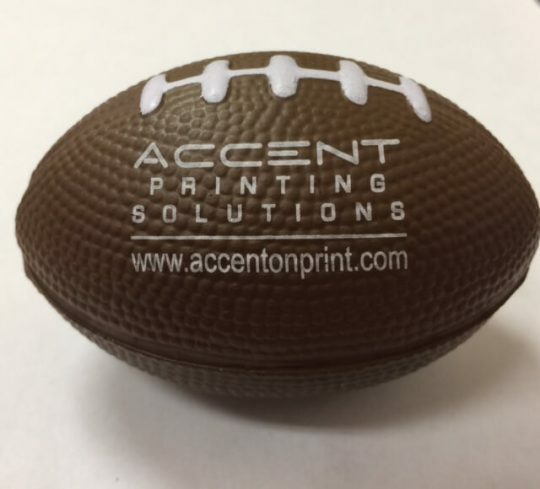 When you go to our website you can find a page dedicated to promotional products – https://www.accentonprint.com/promotional-products-nj.php We can print your business logo on anything – totes, jackets, mugs, water bottles, pens – anything you can imagine! A spooky handout to utilize during the next promotional campaign, this Halloween pumpkin plastic medallion is bound to make a lasting impression! This conversation-starting keepsake measures 2 1/2″ and is attachable to any beaded necklace (not included). It also makes an excellent decoration or collectable item. 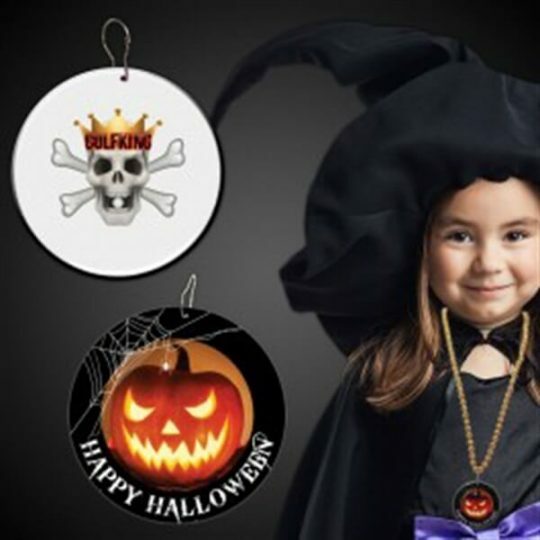 Perfect for Halloween parties, Trick-or-Treat gifts and more, it can be customized with an imprint of your company logo and message to create a memorable gift. We’re here at Accent, Monday through Friday, from 8:30 to 5:30 and love to help you with your next project!